Inspired by Caribbean warmth and energy, Aruba’s Oriflame collection features flawless beach accessories in shimmering shades and styles for a summer look with tropical accents! Approaching that time of the year that many expect – the summer. Travel, nature walks, smiles and experiences. 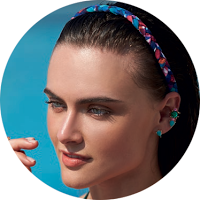 Start now to prepare your summer with Oriflame accessories.A touch of make-up and small accessories can transform your state of mind and summer is the perfect time to try out new combinations and new trends. Healthy hair, soft, protected skin and the perfect Aruba beach accessories – let the tropical heat inspire your summer looks! Bag Aruba Beach bag with vintage tropical polyester pattern, inspired by the modern basket format. Bag base with zipper so you can remove the sand without turning the bag. 34.5 x 10.5 x 40 cm. Network bag to keep your bikini wet. Scarf The perfect beach accessory. Lightweight, compact, quick drying and easy to carry. 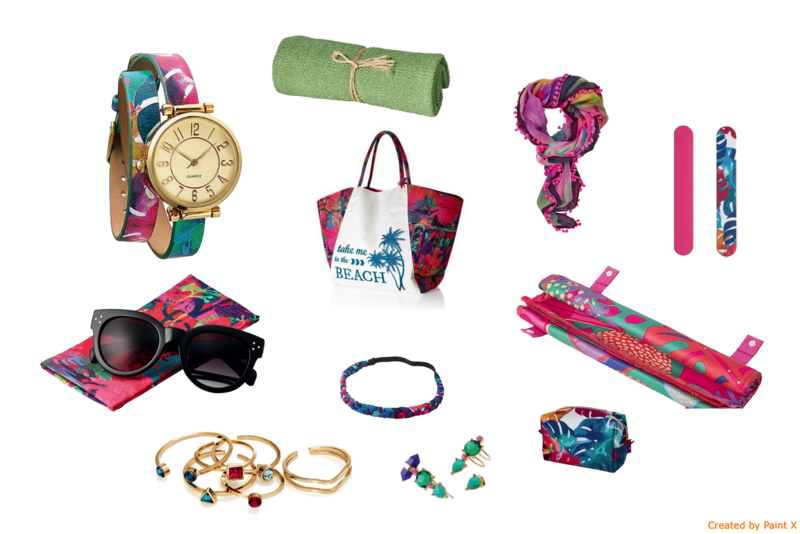 The tropical trend of this season is present in this vivid and invigorating scarf. Use as top, waist, bandolete, match or scarf. Made of soft polyester with neon pink pompons. Versatile, this piece will give life to any look! 120 x 120 cm. 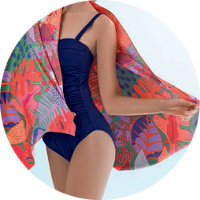 This soft microfiber beach towel with vivid tropical pattern is the perfect accessory to take to the beach / pool. Long enough for you to lie comfortably on it, and with a handle for easy portability. 150 x 70 cm. Stylish 2 in 1 watch with two bracelets. The gold-plated dial perfectly matches the imitation leather bracelets, one in metallic gold and one in tropical pattern. You can also use the bracelets as bracelets. Sent in a dazzling box. Nickel tested, stainless steel back. 39.5 x 3 x 0.8cm. Two bracelets, one with tropical pattern and one in metallic gold, that you can use together as a bracelet. With pink, green and blue stones, this set consists of 3 earrings. Structure in stainless steel and nickel tested. 0.9 cm, 2.5 cm, 3.3 cm. It’s trend! Following the trend of asymmetrical accessories, which have been in vogue in the last seasons, we present this set of earrings and bracelet. Enjoy and be at the forefront of fashion! The mix of rings with different sizes is the trend of summer and this set of gold rings are indispensable in your collection. All the rings are adjustable. Dimensions range from 1.4 to 1.9 cm. Make sure your nails are perfectly arranged this summer with the help of the Aruba Files. With a tropical pattern on one side and fuchsia pink on the other. 13 x 2 x 0.4 cm. A cosmetic bag with tropical pattern and rectangular shape. With zip closure and lining in easy-to-clean black fabric. 17.2 x 7.5 x 11.8 cm. Make sure your skin is smooth and smooth this summer with the Aruba Body Exfoliating Towel. With recycled PET fabric to gently exfoliate the skin and keep it uniform throughout the summer. Wrapped with natural hemp rope. Material: 45% recycled PET; 55% Nylon. 90 x 30 cm.